Ravi Karandeekar's Pune Real Estate Investment Blog: Pune builders recover the cost of construction and get ready to increase the property prices! Pune property buyers help builders to increase the rates! From the last recession in Pune real estate market, Pune builders learned the most important lesson. 'Positive sentiments' are more important than the facts. If the sentiments are positive, property buyers ignore facts and give their hard earned money to the builders. So, in the current real estate slow down, builders in Pune decided to invest in creating 'positive sentiments' and started a strategic campaign of publishing 'positive news about Pune real estate market' in leading local Marathi & English newspapers. Pune builders are sure that these positive news about Pune real estate market will increase the effectiveness of a launch ad. A property buyer with a positive sentiment will be a better bet than a property buyer with a 'confused' mind. The goal of 'positive news about Pune real estate market' is not different from a launch ad of a project. Collect booking amount and 20% own contribution from the property buyer. Collect interest free funds without giving any commitment to the property buyers. Mostly, for the project which hasn't received all necessary sanctions and approvals. 1) The 'positive news about Pune real estate market' is supposed to create a positive mindset about booking a flat. 2) The 'positive news about Pune real estate market' is supposed to create fear in the property buyer's mind and compel him to give his hard earned money as a booking amount and own contribution. 3) The 'positive news about Pune real estate market' is supposed to motivate the property buyer to ignore rising home loan interest rates. 4) The 'positive news about Pune real estate market' is supposed to give him fake satisfaction of settling down in his own home when actually he is risking his life to economic & political uncertainties. A news published in today's Times of India is just an example of 'a positive news about Pune real estate market' campaign started by Pune builders. The goal of the news is to motivate the property buyers who are sitting on the fence. Waiting for the expected property price reduction because of the higher home loan interest rates and uncertain economy. The news refers to the popular 'demand and supply' principal and claims that the gap is because of the overwhelming 'booking'. When all of us know that the gap is because of the famous Pune real estate locha! Because of the N. A. Order or Environment Clearance issues!! Not because of the demand!!! To create fear in Pune property buyers mind, the positive news about Pune real estate market announces that the property rates may go up but, for sure, will not come down. Why? Because, the builders have already recovered the cost of construction. So, now, remember that, like the last time, Pune builders are not desperate to reduce the property price of the on going projects. 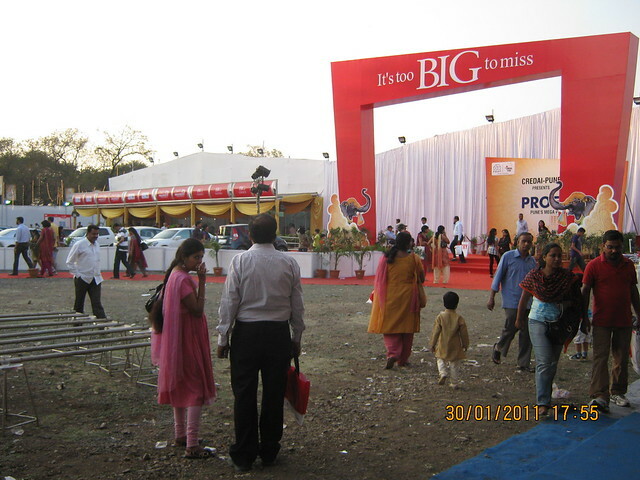 "Thanks to all of you, Pune property buyers, who booked at the launch stage! Now, forget about property price reduction! You have given us, Pune builders, a power to increase the property rates!!" You should also highlight about the down side of the story .. KUL offering 0% interest for 1st year for some projects..Advt was there in TOI and Sakal..
people should learn to see the underlying desperation/intention of builders from the Advt..
good one. Thxs for creating awareness. You are right, Vikrant! Sure, i will do that. seems to be not true...prices really going up ? Novice & Aspiring Home buyer like me, is finding complex things simplified by you.